Everywhere in our world, parents want to provide their children with a future filled with hope. The people of Honduras are no different. 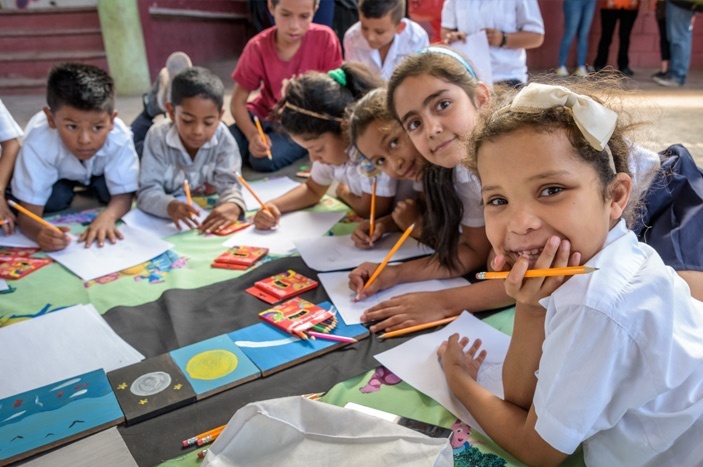 World Vision has been working in Honduras since 1974 to tackle the root causes of poverty and violence – the issues families face and which drive them to consider leaving their homes. The challenges of living in extreme poverty in Honduras and other countries in Central America has been a dominant story in our news here in the U.S. over the past months. The struggle for improved and resilient incomes and personal safety are issues parents and children face every day in this region. Experience life in Honduras and the journey some undertake to escape through the eyes of Edwin in this 360° Virtual Reality video. You can use your mouse or your finger to move around each scene. Violence – especially violence against children. World Vision believes that – with the help of God and many partners – both of these problems can be solved. Among the root causes for people leaving their home is lack of economic opportunity. 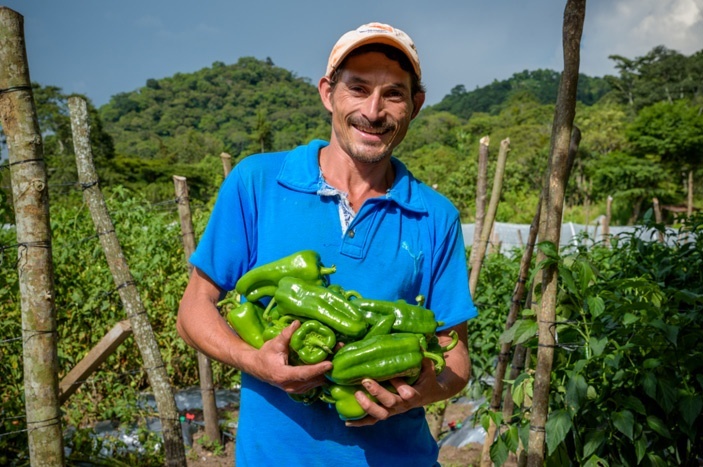 One relatively large-scale intervention in rural Honduras seeks to build improved and resilient livelihoods for smallholder farmers. Focused on some of the poorest and most remote communities, World Vision’s THRIVE program is aimed at lifting 14,000 smallholder families out of extreme poverty. 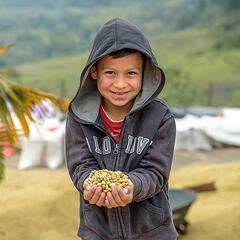 We begin our THRIVE process by addressing the worldview of smallholder farmers. We battle dependency and fatalism by helping people understand that they are created in the image of a loving creator God, and are not only image bearers of God, but also responsible, capable, creative, productive, and resourceful. Then we help them put that empowered worldview into practice. We work to help farmers learn how to significantly improve their farm as a business – building both improved productivity and profitability, by training on improved agricultural practices and inputs, linking to financial service providers like VisionFund Honduras, and accessing better markets for improved terms and prices. We work with farmers to improve the natural resource management of the farm and community, making sure that soils are improved and productive, watersheds are resilient and provide water year-round, and trees and forests provide protection from floods and erosion. Finally, we work with farming communities to ensure that they have access to the information they need to manage their farms and investments. This includes weather and seasonality information, issues related to animal and plant diseases, market prices and market developments, etc. Your support will help create economic opportunity and hope, giving hard working Honduran farmers the chance to realize their economic dreams in their own communities. 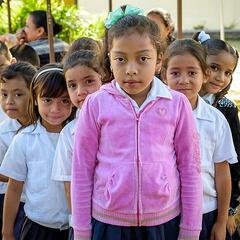 Many children in Honduras do not feel safe in their homes or their communities. They often join a gang to find a sense of security and belonging. In some particularly bad situations they make the difficult decision to leave their country in hopes of finding safety and opportunities elsewhere. The Honduras Child Protection Project aims to equip 7,000 youth to protect themselves, strengthen families to care for and support youth, and work with churches and other community partners to address cultural norms that harm children. Youth, ages 12 to 18, learn conflict resolution, empathy, and relationship skills through facilitated group gatherings. Providing children with a sense of being loved, protected, and supported is essential to their immediate well-being, as well as to the development of abilities that help them withstand adversity later in life. We train parents and caregivers in Raising Children with Tenderness, teaching parents to provide children with comfort, moral guidance, and coaching. Parents are empowered with positive parenting practices that change how they interact with their children. Finally, over 1,000 leaders from the community, churches and other faith-based organizations are equipped to address harmful traditional practices toward children, support and advocate for children’s rights, become better child protectors, and ultimately strengthen the local child protection system by engaging entire communities in this effort. Your support will help reduce the violence that has permeated homes and communities, which has encouraged children and adolescents to leave their country. As community norms shift in Honduras, families will begin to foster an environment that gives their children a safe place to anchor their hopes, and provides them with choices for succeeding in life.